As I’ve mentioned before, I have very fair skin. I also have red hair. It’s not natural, mind you, but with my porcelain skin and freckles, I may as well have been born with it. Now, I happen to think red hair and fair skin is a pretty combination – it certainly works for Julianne Moore and Nicole Kidman (sometimes). But when you’ve got that kind of coloring, it can be tough to get certain makeup shades to look right on you. I’m definitely not someone who thinks we should all follow conventional beauty wisdom about what shades you must wear because your eyes are such and such a color or your hair is this shade or that. At least half the fun of makeup is playing around with colors and trying new things. I pretty much wear whatever colors, textures, finishes, etc. that I like. That means I rock blue eye shadow whenever the mood strikes even though I’ve got blue eyes and that’s supposed to be a no-no. I like the way it looks and at the end of the day, that’s all that really matters to me. That said, there’s still one makeup look that, as much as I love it, I have a hard time working up the nerve to wear. I always think of Marilyn Monroe when I think of the classic red lip. Her entire look was flawless, no question, but her lip color was definitely the standout. She certainly didn’t lack the confidence to wear such a fierce look but come on! She was Marilyn Monroe, for Chrissakes. I’m definitely no blonde bombshell. Don’t get me wrong – I like standing out, I like not necessarily looking like everyone else. 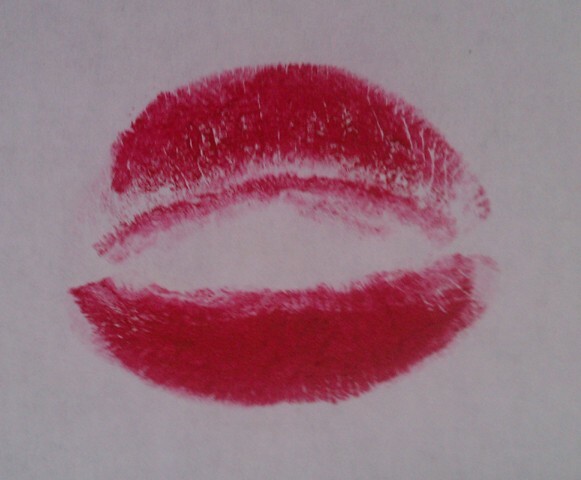 But there’s something about red lipstick that’s just so… conspicuous. I guess it all does come down to a matter of confidence, my difficulty wearing red lips. Or maybe I just haven’t found the right red for me yet. 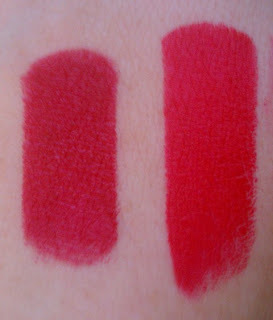 I have two red lipsticks right now – Maybelline’s Color Sensational Lipstick in Red Revival and Cover Girl Lip Perfection Lipstick in Hot. 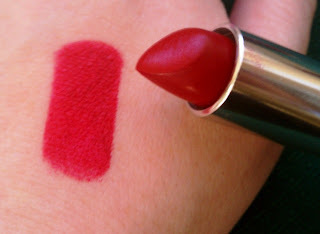 I haven’t invested in a high end red lipstick jbecause I don’t feel like I’d wear it enough to justify paying too much. So far, I like Maybelline’s Red Revival best. 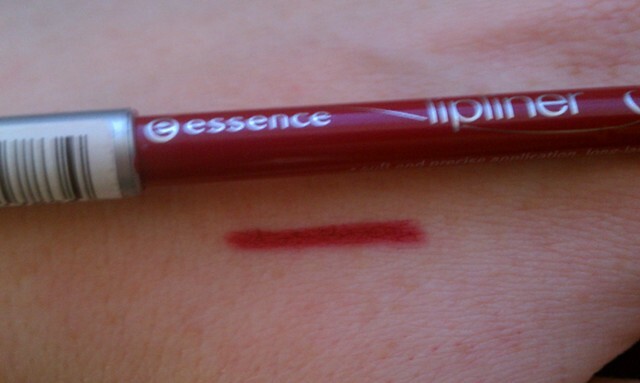 While it’s a true red, it’s slightly deeper and not quite as bright as the Cover Girl Hot, not quite as bright. Whichever shade I wear, I pair it with an Essence lip liner in Red Blush (which is a pretty good liner and costs about a buck at Ulta) and while I’m usually pretty dismissive of lip brushes, I always use one with red because I make too much of a mess otherwise. Of course, I always pair my red lip with a soft eye – usually a matte cream shade from lashline to brow, a matte brown in the crease, and black liner. It’s a really pretty look but I still feel a little self-conscious when I wear. Which is probably why I skipped it today for Valentine’s Day, and went with a soft, pink, girly look instead. But then again, it might also be because I just got a new lipstick that I’m obsessed with and is definitely not red and couldn’t bear not to wear it today… but more about that tomorrow. How do you feel about red lipstick? If you’re comfortable wearing it, did you have to work up to it? 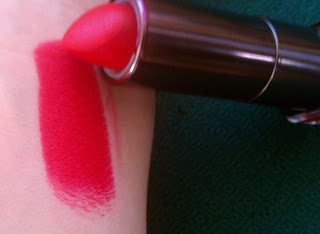 (I’ll admit to wearing red lipstick when I’m sitting home in my pjs or sweats in the hopes that I’ll get used to it :P) Do you have a favorite red shade? What do you pair it with?